The effect of some anaesthetics such as methane sulfonate (MS-222); Metomidate hydrochloride; Eugenol and Sodium bicarbonate on the enzymes activities (Alanine transminase–ALT; Aspartate transaminase–AST; Alkaline phosphatase-ALP and Lactate dehydrogenase–LDH) in Juveniles and Adults sizes of Clarias gariepinus was investigated using different concentrations (0.00 mlL-1–control; 50.00; 100.00; 150.00 and 200.00 mlL-1) in triplicates. The results from the study indicated that the anaesthetic caused a concentration dependent significant alteration (p<0.05) in the five enzymes under consideration. The highest activities in all the enzymes were observed in 200.00 mlL-1 concentration of the anaesthetics and the lowest in the control. The results from this work therefore suggest that the anaesthetics impair enzymes activities in the fish which was more noticeable in the fish exposed to higher concentrations between 150.00-200.00 m/L-1. Hence caution should be exercised in the application of these anaesthetics in sedation of C. gariepinus. Enzymes are biological molecules that increase the rate of chemical reactions in the cell. In enzymatic reactions, the molecules at the beginning of the process called substrates are converted into different molecules referred to as products. All chemical reactions in biological cells need enzymes to occur at rates sufficient for life (Yang and Bahar, 2005). The amino transferases, phosphatases and lactases are the most important group of enzymes in lower animal especially in the telost fish (Waterstart, 1999). The transferases which include alanine transaminase (ALT) and aspartate transaminase (AST) constitute a group of enzymes that catalyze the interconversion of a keto acid into amino acid. While the phosphatases consists of acid phosphatase (ACP) and alkaline phosphatase (ALP), are hydrolase enzymes, responsible for removing phosphate groups from many types of molecules including nucleotides, proteins and alkaloids (Tamas et al., 2002). And the lactase, the lactate dehydrogenase, which is responsible for converting muscle lactic acid into pyruvic acid, an essential step in producing cellular energy (Gabriel et al., 2011). The measurement of plasma enzymes activities is a helpful diagnostic tool in teresstrial mammalian pathological, toxicological and general clinical testing. Recently there have been some attempts to utilize these techniques in aquatic toxicology studies (Akinrotimi et al., 2013). As in mammals, it has been shown that after functional damage to tissues and organs of fish, some specific cellular enzymes leak into blood plasma, where they will be detected. In mammalian toxicology, the identification of altered plasma enzymes patterns can be used to evaluate the functional status of damaged organs, or tissues, as their detection methods are simple, rapid and can be carried out with small blood samples (Gabriel et al., 2007). Anaesthetics are routinely used to reduce stress in fish during blood sampling and in some on farm aquaculture practices (Akinrotimi et al., 2013) but inappropriate anaesthetic concentrations or prolonged exposure time can stimulate stress and alter the blood biochemical parameters. Therefore it is important to determine the appropriate anaesthetics concentrations, so as to reduce stress to the barest minimum. Changes in enzymes activities in the extracellular fluids or plasma are sensitive indicator of cellular damage. Since the levels of these enzymes within the cell, exceed those in the extracellular fluids, by more than three orders of magnitude (Moss et al., 2013). The measurement of metabolic enzymes activities in the plasma is therefore frequently used as a diagnostic tool in human medicine (Van der Oost et al., 2003). It is now being utilized in lower vertebrates like fish to monitor disruption of metabolic function of cells. Determination of various enzymes activities in blood plasma have incidentally been applied in fish research to indicate bacterial, viral and parasitic infections, level of water pollution and response to drugs applications (Bucher 1990). Exposure of fish species to anaesthetics have been reported to cause changes in some enzymes activities of the fish (Prince et al., 2000; Wagner et al., 2008). A study by Akinrotimi et al. (2013), demonstrated changes in some enzyme activities in the blood of catfish (Clarias gariepinus) exposed to anaesthetic metomidate. Also, in an extensive study by Gabriel et al. (2012), alterations were observed in some plasma enzymes, alanine transminase (ALT), aspartate transminase (AST), alkaline phosphatase (ALP), Lactate dehydrogenase (LDH) in African catfish, (Clarias gariepinus) exposed to various levels of an anaesthetic, metomidate in the laboratory. Velisek and Svobodova (2004), associated distortions in plasma enzymes activities of rainbow trout with the effect of anaesthetic metomidate. Conversely, Kenneth and Griffin (2004), confirmed that the introduction of clove oil, Aqui-S, metomidate, MS-222 and quinaldine at high level in water that contain hybrid of sunshine bass (Morone chrysops × Morone saxatilis), affected the enzyme profiles of the fish. Also, in the study by Velisek et al. (2003), in common carp, (Cyprinus carpi) indicated that exposure of this specie to varying degrees of anaesthetics caused a significant alterations in its enzymes activities. 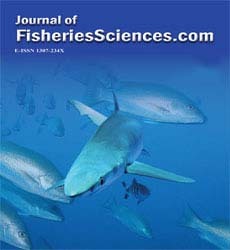 The issues of anaesthetics and analgesia in fish have been the subject of an ongoing debate regarding its necessity, its techniques and its physiological evaluations (Chandroo et al., 2004). Different studies have in fact revealed significant evidence that fish can experience pain, fear and stress, with important influences on their general metabolism (Gabriel et al., 2011). In this regard, it becomes important to study and compare different anaesthetics and immobilizing drugs on fish and relate these results to physiological parameters. This paper therefore, investigates the effects some anaesthetics on the activities of some metabolic enzymes in African catfish, Clarias gariepinus, a widely cultured fish in most of the tropical countries. This study was carried out at the Genetic family testing unit hatchery, in African Regional Aquaculture Centre (ARAC) Aluu, Port Harcourt, Rivers State, Nigeria. The unit consists of fifty 9.0 m3 concrete tanks and 100 (50 L) plastic tanks. The site is well ventilated and is completely protected from direct impact of sun light. The water supply to the unit is from a bore hole, free from any chemical pollution. A total of nine hundred and sixty (960) apparently healthy C. gariepinus, consisting of 480, 12 weeks old juvenile fish (mean length 26.64 cm ± 1.02 SEM; mean weight 356.21 g ± 1.86 (SEM) and 480, 24 weeks old adult sizes (mean length 52.13 cm ± 1.01 SEM; mean weight 1100.38 g ± 3.04 SEM) were collected from ARAC rearing concrete tanks adjacent to the experimental site. These tanks are being stocked intermittently for at least two production cycles annually. The fish were harvested from the tanks, after drainage. They were immediately transferred into holding tanks in the hatchery. In the hatchery, the fish were acclimated to laboratory conditions for a period of three days, following the method of Gabriel et al. (2011), who recommended that fish for experimental purposes must be handled carefully and stocked in a well aerated holding tank, so as to reduce the incidence of stress to the barest minimum. During this period the fish were fed daily with ARAC feed (40% CP) at 5% body weight and the water in the holding tanks were renewed daily. A total four different anaesthetic agents were used in the trial. Four synthetic anaesthetics namely: Tricaine methane sulfonate (MS-222), metomidate hydrochloride sold as ‘Tranquil’, eugenol and sodium bicarbonate. Tricaine methanesulfonate (MS-222): Tricaine–S is the methanesulfonate of meta-amino benzoic acid ethylester or simply m-amino benzoate. It is thus an isomer of benzocaine.It is a fine white crystalline powder, which is highly soluble in water. The active ingredient is methane sulfonate; it is manufactured by Pharmaq AS, New York, USA. It is the only anaesthetic license in the United States for fin fish that is intended for human consumption. The route of administration is immersion of the animals at levels ranging from 10 to 1,000 ml/litre depending on the species and size of the fish. This was purchased off-shelf from Gabrovic Aqua shop, Rumuodara, Port Harcourt. Its concentrate was prepared by dissolving 10 g of the anaesthetics in 1 litre of water (Massee et al., 1995). Metomidate: Metomidate hydrochloride sold as Tranquil, is manufactured by Syndel International Inc. Vancouver, Canada. It is sold in liquid of form in white plastic container. It is a colourless, odourless liquid packaged in different volumes of 50, 100, 250 and 500 ml. The active ingredient is metomidate hydrochloride. It is administered by injection and immersion at 10 to 1,000 ml/ litre. This chemical was purchased from Elitonia Aqua Shop, Rumuokoro, Port Harcourt. Eugenol: Eugenol is a clear to pale yellow liquid. It is a derivate of methoxyphenol, sold with the trade name Eugenol®, manufactured by Sigma Addrech, AS, Oslo, Norway. It was purchased from Durante Aqua shop, Challenge Area, Ibadan, Oyo State. It is administered only in fish by immersion. Sodium bicarbonate: Sodium bicarbonate is the chemical compound with the formula NaHC03. It is a white solid that is crystalline in nature, but often appears as a fine powder. It is manufactured by Hunan Chembird Industrial Company Limited, Changhsha, China. For use in fish, the concentrate is prepared at 9 g/100 ml in water following the method of Booke et al. (1998). And it is administered by immersion. A stock solution of the anaesthetics was prepared by adding 1 ml of the anaesthetic concentrate to 1 litre of water. Exposure concentration of anaesthetics were 0.00 (control); 50, 100, 150, and 200 ml/L. Thirty, 50 L plastic containers were labeled and each filled with water from the borehole to the 30 L mark, and another 30 plastic containers were filled with fresh water without anaesthetics were placed side by side. The different concentrations were prepared by serial dilution by measuring 50, 100, 150 and 200 of the stock solutions (×30) that was made into 30L with the borehole water that gave the desired concentrations. The concentrations were chosen based on the reports of previous authors (Waterstart, 2002; Gabriel et al., 2011; Akinrotimi et al., 2013), which used lower concentrations. The anaesthetic solution was then stirred with a glass rod (50 cm in length) for homogeneous mixture. Within 10 minutes the tanks were randomly stocked with four juveniles per tank, while four adult fish were equally stocked per tank, using a scoop net. Three tanks each were used for each concentration and the control in each of the fish sizes. The tanks were not aerated during the experimental period. Duration of fish exposure to various anaesthetics at different concentrations depends on the induction and recovery time. The same procedure was repeated for all the four anaesthetics. The durations of each anaesthetics during exposure depends on the induction time (time taken for the fish to get anaesthetized) and recovery time (time taken for the fish to recover from the effects of the anaesthetics). A total of 480 fish were sampled for blood, 240 each from Juvenile and adult sizes. In each of the eight anaesthetics under consideration, 60 fish were sampled with 30 each for juvenile and adult sizes making it two fish in each experimental tank (in triplicates). Blood samples were taken at the deepest anaesthesia, when the fish was completely immobilized. The needle was inserted perpendicularly into the vertical surface of the fish at a point slightly above the openings in the genital papilla. As the needle pierced the vein, blood flowed easily into the syringe and 3 ml of blood was taken before the needle was withdrawn. The needle was then detached from the syringe and the 1.5 ml blood was transferred into herparinized bottles. The blood samples were analyzed at the Lively Stones Medical Laboratory, Rumukparali– Choba Road, Choba, Port Harcourt, Rivers State, Nigeria. Five enzymes namely, Aspartate amino transaminase (AST), Alanine amino transaminase (ALT), Alkaline phosphatase (ALP), Acid phosphatase (ACP) and Lactate dehydrogenase (LDH) were analyzed in the blood of the exposed C. gariepinus to anaesthetics. The Reitman and Frankel (Bessey, 2010), method was used to analyze AST, because it can be performed as a manual colorimetric end-point technique. While, ALP, ACP and LDH was done by method described by Huang (Huang et al., 2010). The data obtained from the study were collated and analyzed using statistics software 8.0 for windows. Data were first tested for normality (Kolmogorov-Smirnov test) and homosesdasticity of variance (Bartetts test). When these conditions were satisfied, a two way analysis of variance (ANOVA) was employed to reveal significant differences in measured variables among control and experimental groups. When a difference was detected (P<0.05), Tuckey’s multiple comparison test was applied to identify which treatment were significant. Enzymes in the plasma of C. gariepinus exposed to eugenol is presented in Table 1.The result indicated a significant (P < 0.05) increase in the activities of ACP from control (33.76 ± 5.85) to 200 mlL-1 concentration (483.66 ± 20.10) in the adult fish, while ACP in juveniles were within the same range (13.20-14.23) at lower concentrations of the anaesthetics. Significant differences (P<0.05), were however observed at higher concentrations of eugenol. The activities of ALP obtained in both sizes increased as the concentrations of eugenol increased. AST increased from 63.73 ± 2.73 (control) to 76.16 ± 2.19 (200 mlL-I) in the adult fish, while in juveniles the AST reduced considerably as the concentrations of the anaesthetics increased. The ALT and LDH activities in both sizes of the exposed fish of increased steadily as the concentrations of anaesthetic increased (Table 1). Table 1: Enzymes in the Plasma of C. gariepinus Exposed to Eugenol (Mean ± SD). In the fish exposed to metomidate (Table 2), the ACP activities in both juveniles and adult sizes increased significantly (P<0.05), as the concentrations of anaesthetics increased, this became more pronounced at higher concentrations of 150.0 and 200.0 ml/L of metomidate. The ALP also increased significantly in juvenile and adult fish across all the concentrations of the anaesthetic, The same pattern of increase with increasing concentrations of the anaesthetics were observed in AST, ALT and LDH activities in both sizes, with the lowest activities in the control (0.00 mlL-1) and the highest in 200.00 mlL-1 of metomidate concentration (Table 2). Table 2: Enzymes in the Plasma of C. gariepinus Exposed to Metomidate (Mean ± SD). The results of activities of the enzymes in C. gariepinus exposed to anaesthetic M-222 are presented in Table 3. The activities of ACP increased significantly in both sizes, the values of ACP in juveniles were very low when compared to adult sizes. Also, all the enzymes ALP, AST, ALT and LDH in the two sizes of fish increased progressively as the concentrations of anaesthetics increased (Table 3). In the fish exposed to sodium bicarbonate, the ACP activity in the juvenile fish increased from the control and peaked (16.10 ± 3.17) at 50 mlL-1 concentration, and later declined and rose again (13.50 ± 0.7a) at 200 m/L-1 concentration. Moreover, the activity of ACP increased across the concentration in the adult fish with significant differences observed between 0.00 mlL-1 and 50.0 mlL-1, while in other concentrations, the values were within the same range, (Table 4). The ALP, AST, ALT and LDH activities were elevated in the plasma of C. gariepinus exposed to sodium bicarbonate at various concentrations. Table 3: Enzymes in the Plasma of C. gariepinus Exposed to MS-222 (Mean ± SD). Table 4: Enzymes in the Plasma of C. gariepinus Exposed to Metomidate (Mean ± SD). The uses of plasma enzymes have been reported as good indicators in determine optimal concentrations range of anaesthesia in response to stress (Wagner et al., 2008). Enzymes assays, such as Acid phosphates (ACP), Alkaline phosphate (ALP), Aspartate transaminase (ALT) and Lactate dehydrogenase (LDH), have been used as an indicators of different stress for fishes. Changes in these enzymes activities resulting from exposure to anaesthetics applications in plasma of fish have been reported. And such alterations are aimed at maintaining equilibrium in the presence of these chemicals, which may disrupt physiological and biochemical processes (Ribas et al., 2007). In this study, activities of these enzymes increased or decreased as the concentration of anaesthetics increased in the plasma of C.gariepinus, hence the elevation or inhibition appears to be dose dependent. This is in line with the report of Cotter and Rodnick (2006), who noted that variations in metabolic enzyme activities in fish are directly proportional to the concentration of the anaesthetics. The transaminase (ALT and AST) plays an important role in the utilization of amino acid for the oxidation activities and gluconeogenesis. They function as links between carbohydrate and protein metabolism under altered physiological, pathological and stress induce environmental conditions (Daniel, 2009). Increased activities of transaminases, ALT and AST in all the anaesthetics under consideration indicated an amplified transamination processes. Philip and Rajasree (1996), noted that increase in transamination occurs with amino acid input into the tricaboxylic acid (TCA) cycle of fish to cope with the energy crisis during stress. It has been suggested that, stress induces elevation of the transamination pathway and is likely to have been a factor, in the increased transamination activities in the present study. Congleton (2006) observed an increase in AST and ALT activities in rainbow trout (Oncorhynchus mykiss) treated with MS-222. Furthermore, Akinrotimi et al. (2013) reported a similar trend in African catfish C. gariepinus brood fish exposed to anaesthetic metomidate, they assumed, that the elevation in the enzymes might be due to hepatotoxicity, which results in the liberation of the intracellular enzymes (ALT and AST) into the blood stream of the fish. However, Velisek et al. (2004) reported a decreased ALT and AST in rainbow trout (O. mykiss) after clove oil and 2-phenoxyethanol anaesthesia, while Velisek et al. (2004) found no change in transaminase activities in yellow perch (Perca flavescens) after clove oil and 2–phenoxyethanol anaesthesia. These variations in transaminase activities in response to anaesthetics, may be due to dosage, species, exposure time and phase of anaesthesia. The enzyme phosphatases (ALP and ACP), present practically in all tissues, especially in the cell membranes, where active transport normally takes place and has hydrolase’s and transphosphorlyase functions. The sources of ALP and ACP include synthesis in the intestinal epithelium, kidney and liver. These are often increasing in response to biliary obstruction (Hill, 2004). The increased ALP and ACP in the exposed fish, indicates mild alterations in the function of kidney and liver. This finding supports that of Iversen et al. (2003) in Atlantic salmon (Salmo salar) exposed to higher concentrations of clove oil. Also, Velisek et al. (2010), also noted increased in ALP and ACP activities in silver perch (Bidyanus bidyanus) after MS -222 (150 mlL-1) and 2-phenoxyethanol (40 mlL-1) anaesthesia. Moreover, Nie et al. (2007) observed the same trend in Nile tilapia (Oreochromis niloticus) exposed to MSS- 222 and suggested that the elevation of the phosphatases is as a result of the diversion of the alphamino-acid in the TCA cycle as keto acid to augment energy production. On the hand, Gomulka et al. (2008), reported a decrease in activities of ALP and ACP in Siberian sturgeon (Acipenser baerii) after MS-222 and eugenol anaesthesia. These variations suggest the fact that response of phosphatase to varying degrees of anaesthetics depends on species and type of anaesthetics used. The lactate dehydrogenates (LDH) activity in the exposed fish rose significantly (P<0.05) with increasing concentrations of the anaesthetics. The increase in LDH activity in this work supports earlier findings by Dziamen et al. (2005), in common carp, (Cyprinus carpio) treated with MS–222. The elevation of LDH activity provides the oxaloacetate required for the gluconeogensis pathway to meet the additional supply of glucose for the production of energy under reduced phase of oxidative metabolism. Moreover, elevation in the levels of LDH in the plasma of C. gariepinus in this work can be considered as a response to the stress induced by exposure to anaesthetics, so as to generate ketoglutarate and oxaloacetate for contributing to gluconeogenesis or energy production necessary to meet the demand for stress imposed by the drug (Cordova and Braun, 2007). The results of the current and previous studies highlight the importance of considering all potential physiological and biochemical effects of a prospective anaesthetic agents used in aquaculture. It is clear that different anaesthetics can have marked effects upon blood chemistry of fish. Thus, careful consideration should be taken when selecting an anaesthetic, particularly when variations in blood plasma chemistry measures, are being used, as end point indicator in a study. Yang L.W., Baharm I. (2005) Coupling between catalytic site and collective dynamics. requirements for mechanochemical activity of enzymes’. Structure 13, 895-914. Waterstart, P.R. (1990) Induction and recovery from anaesthesia in channel catfish (Ictalurus punctatus) fingerlings exposed to clove oil. J World Aquacult Soc 30, 250-255. Tamas, L., Huttova, J., Mistrik, L. (2002) Effect of carboxymethyl chitin-glucan on activity of hydrolytic enzymes. Chemical Pathol 56, 326-329. Gabriel, U.U., Uedemenaa, B., Akinrotimi, O.A. (2011) Induced altered behaviours in fish: A review of selected literature. J Technol Education Nigeria. 16, 89-102. Akinrotimi, O.A., Gabriel, U.U., Orokotan, O.O. (2013) Changes in enzymes activities of Clarias gariepinus brood fish exposed to anaesthetics metomidate. Applied Ecol Environmental Sci 1, 37-40. Gabriel, U.U., Anyanwu, P.E., Akinrotimi, O.A. (2007) Haematological profiles of black-chinned Tilapia (Sarotherodon melanotheron) from Buguma creek, Niger Delta. Agricultural J 2, 387-391. Akinrotimi, O.A., Edun, O.M., Eddie, D.M. (2013) Effects of Clove seed as anaesthetics agents in two species of grey mullets (Liza falcipinnis and Liza grancisquamis). J Aquatic Sci 1, 7-10. Moss, D.W., Henderson, A.R. Kochmar, J.P. (1986) Principles of Diagnostic Enzymologys and the aminotransferases., Philadelphia, PA, USA: Soundox Publishers. Van der Oost, R., Beyer, J., Vermulen, N.P.E. (2003) Fish bioaccumulation and biomarker environmental risk assessment a review. Environmental Toxicol Pharmacol 13, 57-149. Prince, A., Powell, C. (2000) Clove oil as an anaesthetic for invasive field procedures on adult rainbow trout. North American J Fisheries Management 20, 1029-1032. Wagner, E., Arndt, R., Hilton, B. (2008) Physiological stress haematological and biochemical response in rainbow trout brood stock anaesthesia with clove oil, tricaine sulfonate. Aquaculture 211, 353-366. Gabriel, U.U., Deekae, S.N., Akinrotimi, O.A., Orokotan, O.A. (2012) Haematological response of Clarias gariepinus exposed to anaesthetic metomidate. Continental J Pharmacol Toxicol Res 4, 18-29. Velisek, J., Svobodova, Z. (2004) Anaesthesia of common carp (Cyprinus carpio) with 2-phenoxyethanol acute toxicity and effects on biochemical blood profile. Acta Veterinaria Brun 73, 378-384. Kenneth, D.B., Griffin, B.R. (2004) Physiological responses of hybrid stripped peach bass under sedation by several anaesthetics. Aquacult 23, 531-548. Velisek, J., Svobodova, Z., Piackova, V. (2003) Anaesthesia of common carp with 2- phenoxyethanol: acute toxicity and effects on biochemical blood profile. Acta Veterinaria Bruno 73, 249-252. Chandroo, K.P., Duncan, I.J.H, Moccia, R.D. (2004) Can fish suffer? Perspectives on sentience, pain, fear and stress. Applied Animal Behaviour Sci 86, 225-250. Gabriel, U.U., Akinrotimi, O.A., Eseimokumo, F. (2011)Haematological responses of wild Nile tilapia (Oreochromis niloticus) after acclimation to captivity. Jordan J Biol Sci 4, 223-230. Massee, K.C., Rust, M.B., Handy, R.W., Stickney, R.R. (1995) The effectiveness of tricaine, quinaldine and metomidate as anaesthetic for fish. Aquacult 134, 351-359. Booke, H.E., Hollendes, B., Luttenble, G. (1998) Sodium bicarbonate, an inexpensive fish anaesthetic for field use. Progressive Fish Culturist 40, 11-13. Bessey, M.M., Benfey, T.J., Kieffer, J.D. (2010) Haematology and stress physiology of juvenile diploid and triploid short nose sturgeon (Acipenser brevirostrum). Fish Physiol Biochem 31, 303-313. Huang, C., Chao, L.C., Lin, H.A. (2010) Na+, k+ AT pase and vacuolar-type H+-AT pase in the gill of the aquatic air breathing fish (Trichogaster microlepis) in response to salinity variation. Comparative Biochem Physiol 155, 309-318. Congleton, J.L., Wagner, T.W. (2006) Blood-chemistry indicators of nutritional status in juvenile salmonids. J Fish Biol 69, 473-490. Ribas, L., Flos, R., Reig, L., Mackenzie, S., Barton, B.A. et al. (2007) Comparison of methods for anaesthetizing Senegal sole (Solea senegalensis) before slaughter: stress responses and final produce quality. Aquacult 289, 250-258. Cotter, P.A., Rodnick, K.J. (2006) Differential effects of anaesthetics on electrical properties of the rainbow trout (Oncorhyrchus mykiss). Comparative Biochem Physiol 145, 158-105. Daniel, P (2009) Available chemotherapy in Mediterranean fish farming. 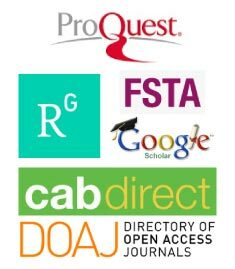 In: Options Mediterranean’s A, The use of veterinary drugs and vaccines in Mediterranean aquaculture C. Roges and B. Basurco (Eds), Zaragoza: Mediterranean Seminars 23, 12-45. Philip, G.H., Rajasree, B.H. (1996) Action of cypermethrin on tissue transmination during nitrogen metabolism in Cyprinus carpio. Ecotoxicol Environmental Safety 34, 174-179. Congleton, J.L. (2006) Stability of some commonly measure blood-chemistry variables in juvenile salmonids exposed to a lethal dose of the anaesthetic MS-222. Aquacult Res 37, 1146-1149. Velisek, J., Stejskal, V., Kouril, J., Svobodova, Z. (2004) Anaesthesia of rainbow trout (Oncorhynchus mykiss) with 2-phenoxy-ethanol: acute toxicity and effects on biochemical blood profile. Acta Vertrinary Bruno 73, 378-384. Hill, J.V., Davison, W., Forster, M.E. (2004) The effect of fish anaesthetics (MS-222, metomidate. and Aquis-s) on heart ventricle and brachial vessels from chinook salmon (Oncorhynchus tshawytscha). Fish Physiol Biochem 27, 167-177. Iversen, M., Finstad, B., Mackinley, R.S., Eliassen, R.A. (2003) The efficacy of metomidate, clove oil, Aqui-S and Benzoic(R) as anaesthetics in Atlantic salmon (Salmon salar.) Smolts, and their potential in stress reducing capacity. Aquacult 221, 549-566. Velisek, J., Svobodova, Z., Piackova, V., Gruch, L., Nepejchalova, L. (2010) Effects of clove oil anaesthesia on common carp (cyprinus carpio). Veterinary medical of Czech 50, 269-275. Nie, G., Ming, H., Zhen, J., Song, D. (2007) Effects of xylanase on blood physiological biochemical parameters of Nile tilapia. J Dalian Fisheries University 22, 361-365. Gomulka, P., Wlasow, T., Velisek, J., Svobodova, Z. (2008) Effects of eugenol and MS-222 anaesthesia on Siberion sturgeon. Acipenser baeri. Acta Vetrinary Bruno 77, 447-453. Dziamen, R., Klyszejko, B., Hajek, G. (2005) The effect of MS-222 on the cardiac and respiratory function and behaviour of common carp Cyprinus carpio during general anaesthesia. Acta Ichthyol Pisculture 35, 125-131. Cordova, M.S., Braun, C.B. (2007) The use of anaesthesia during evoked potential audiometric in gold fish (Carassius auratus). Brain Res 1153, 78-83.